I created a new activity to use in my class this week - it's based on a scavenger hunt, but it is an individual activity right at their desks. 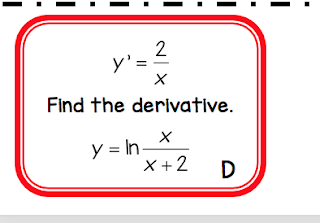 I created 12 small cards that I gave each student (we are currently working on finding derivatives of natural log and exponential functions). 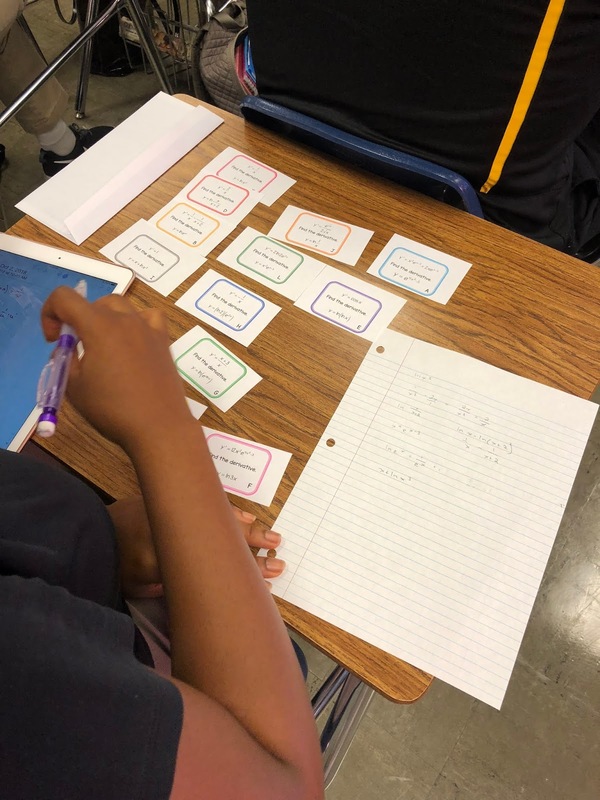 Students can begin with any card. 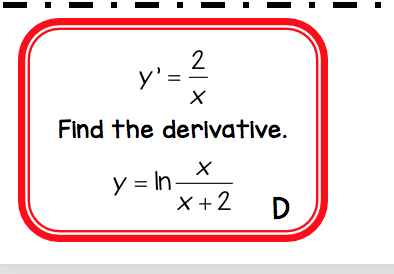 At the bottom of each card, there is a function that students should find the derivative of. They search through the cards and find the answer at the top of the next card. 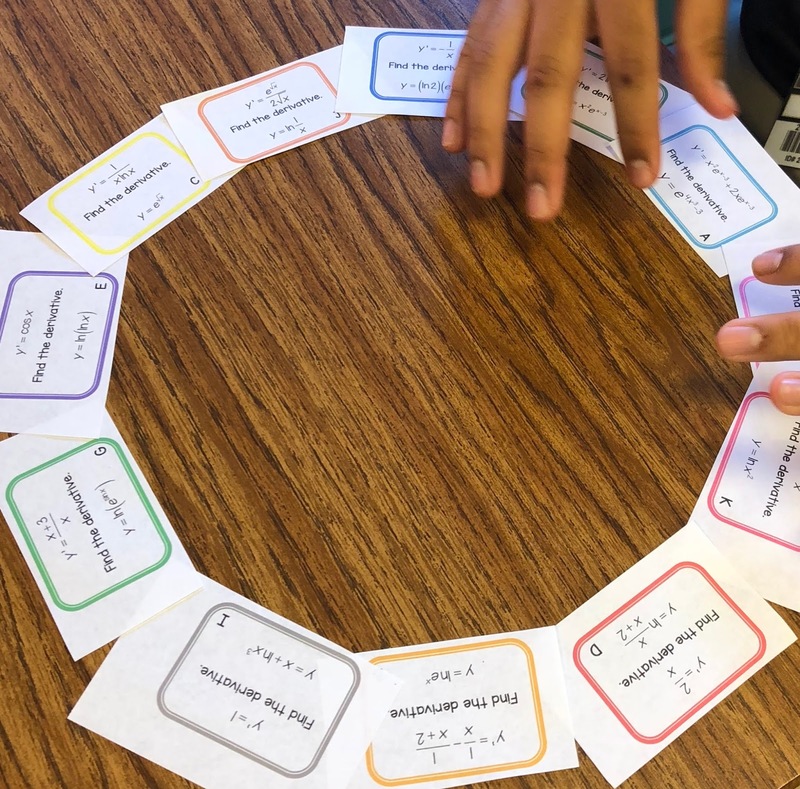 They continue this process until they complete the loop. Here is an example of a completed loop. 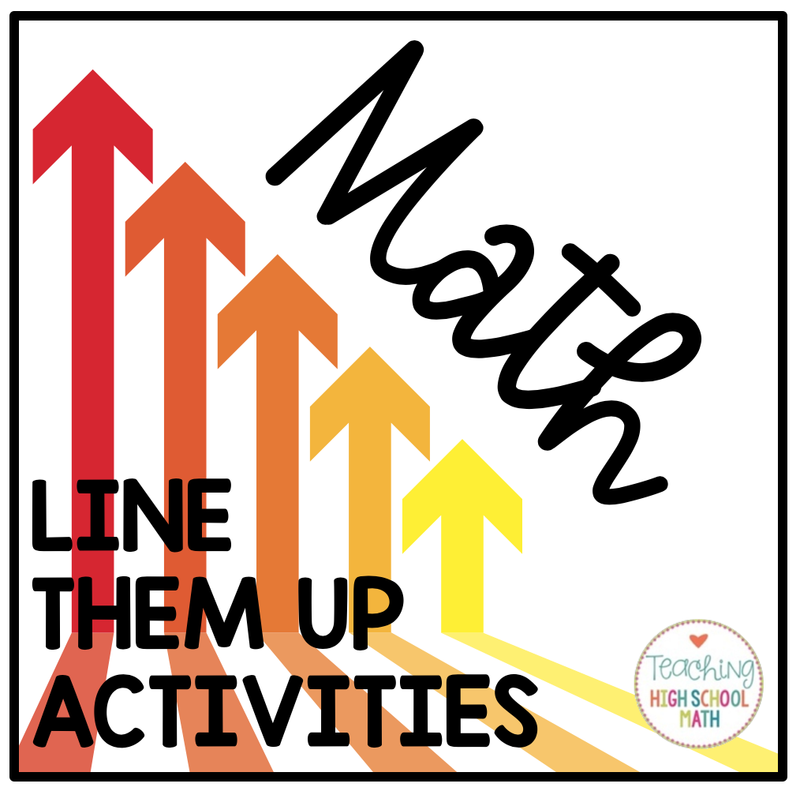 If you plan to make your own line them up activity, I suggest making sure that all of your problems fit on one page...that way you are only making one page per student. Also, you could laminate the pages before cutting so you can use this activity from year to year.